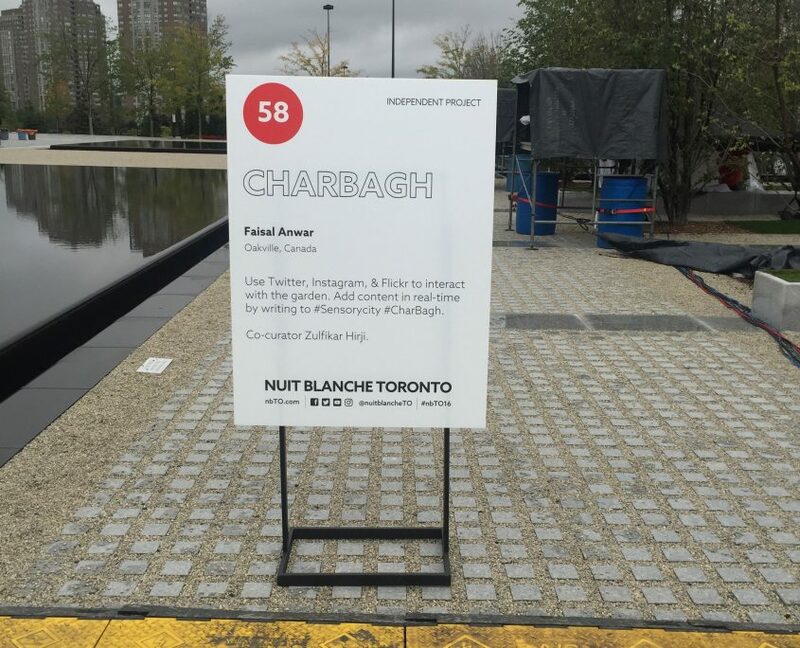 The term ‘char bagh‘ refers to the Persian/Islamic-style quadrilateral garden divided by walkways or flowing water into four smaller parts with axial paths intersecting at the garden’s centre. 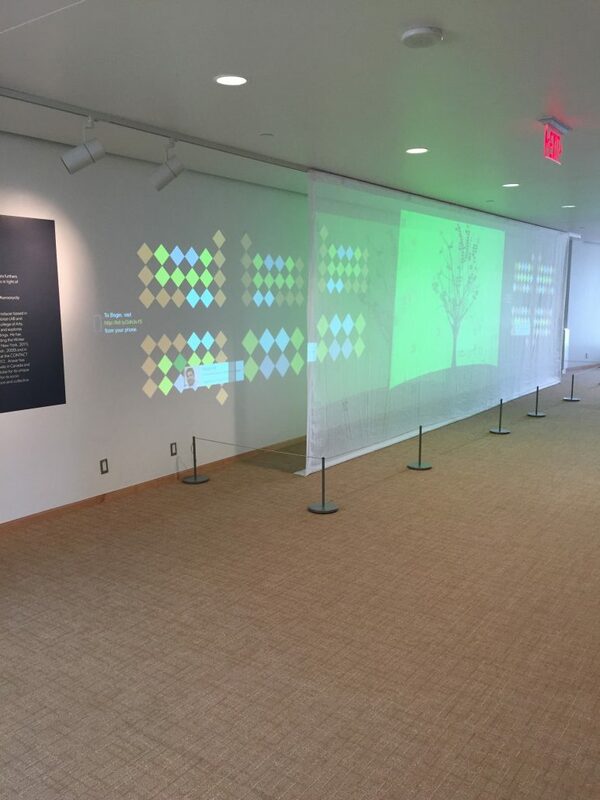 This highly structured geometrical scheme is a powerful metaphor for the organization and domestication of the landscape and a symbol of socio-political territory. 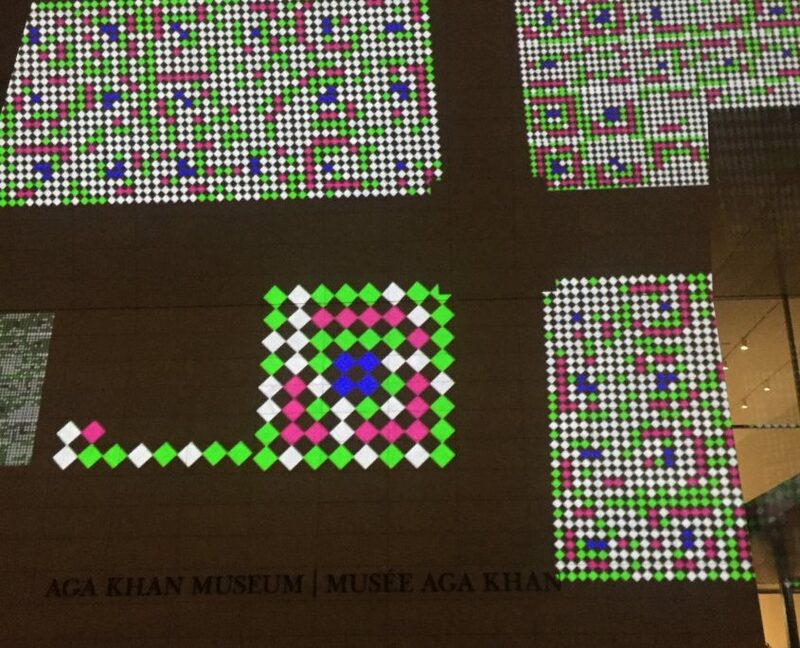 Using real-time open network data and Islamic patterned geometry, Char Bagh: A Sensory Garden is an ever-evolving, dynamic, aerial view of a digital char bagh. 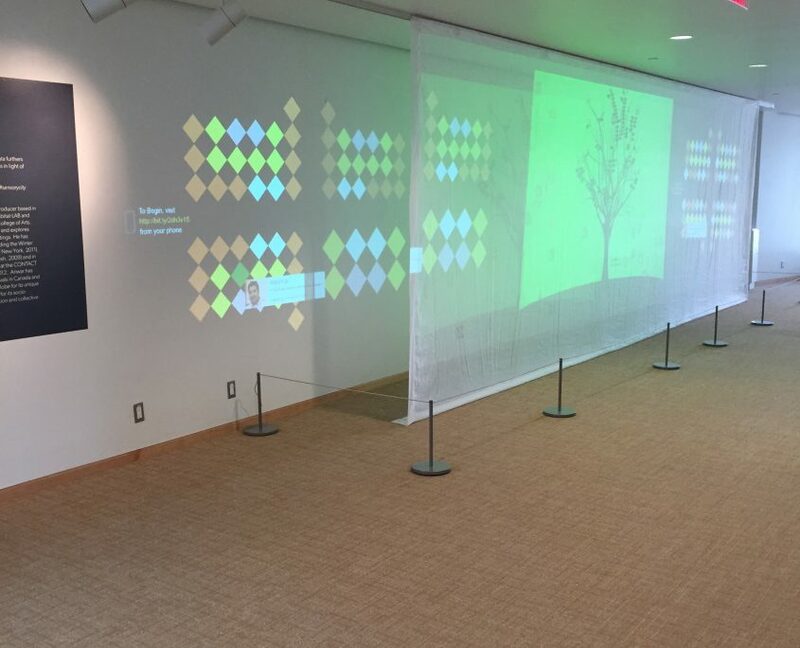 Consisting of multiple stylized trees, the garden grows over time and with incoming streams of data generated via twitter and instagram. 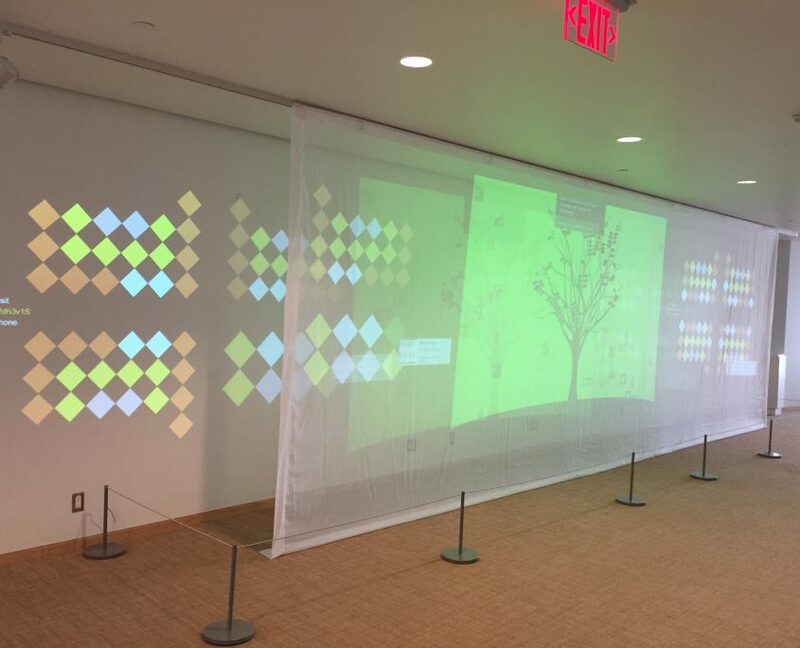 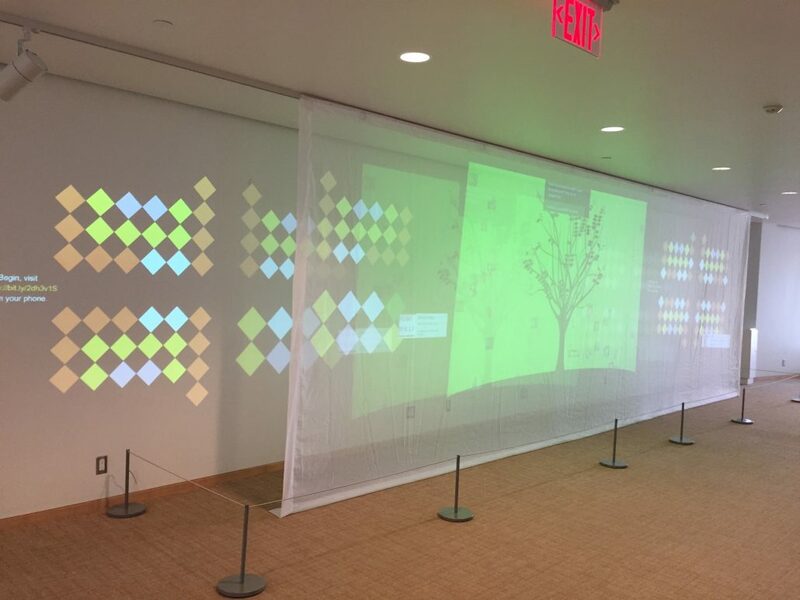 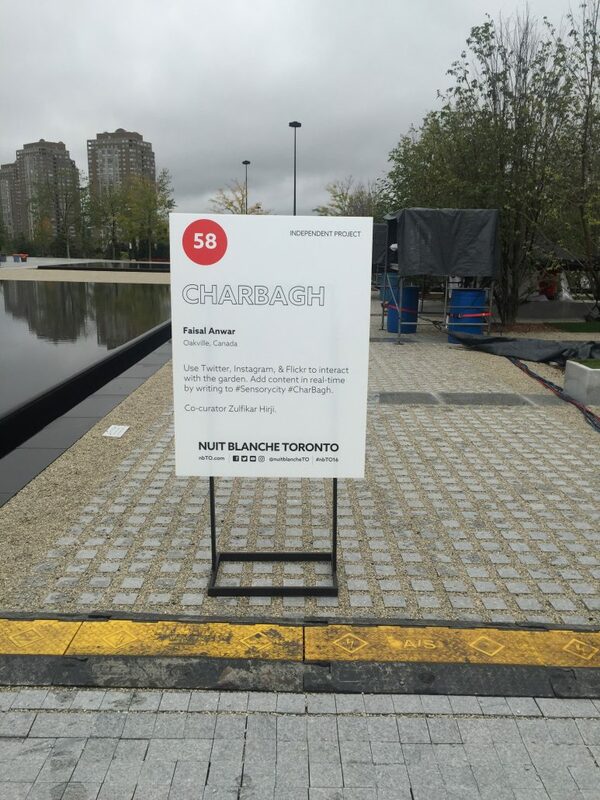 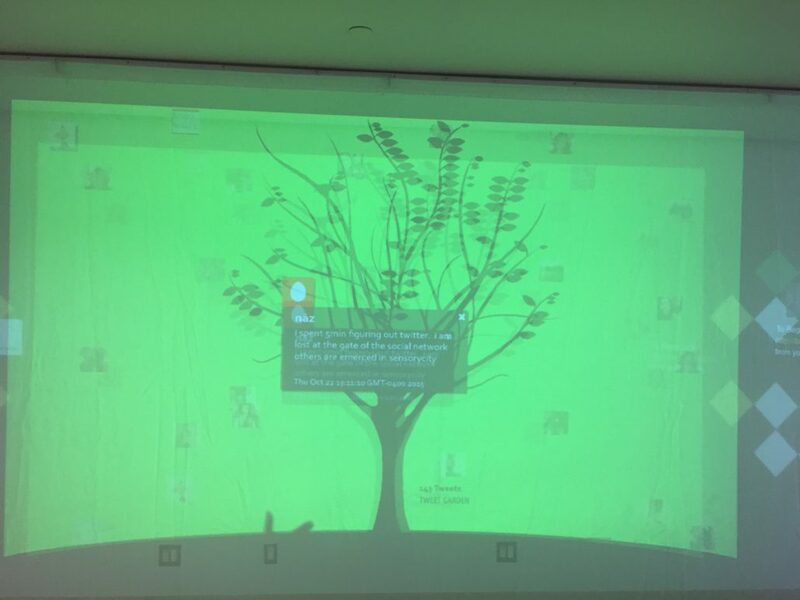 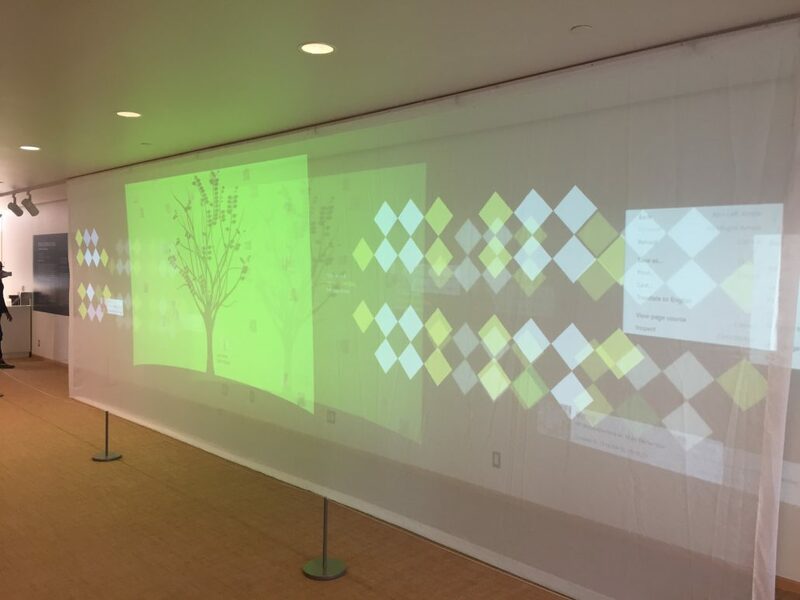 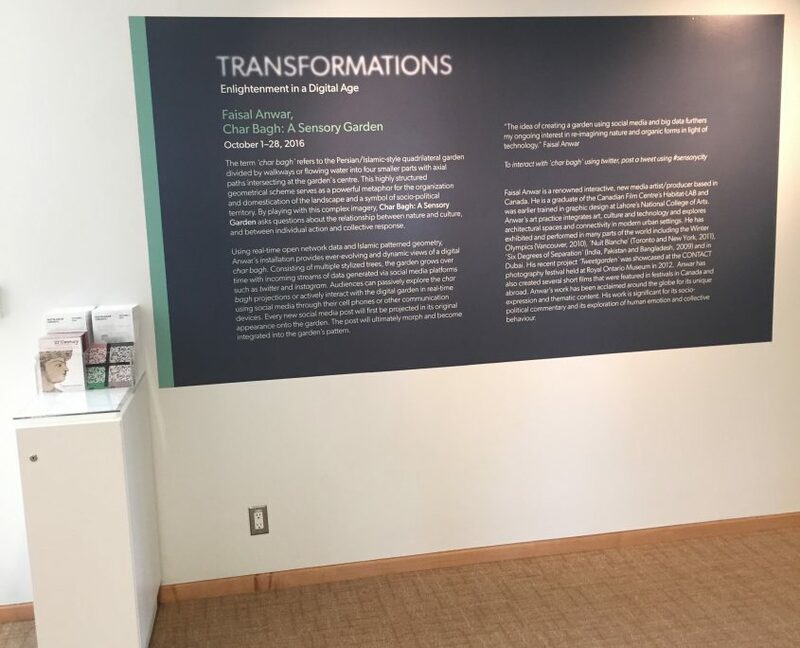 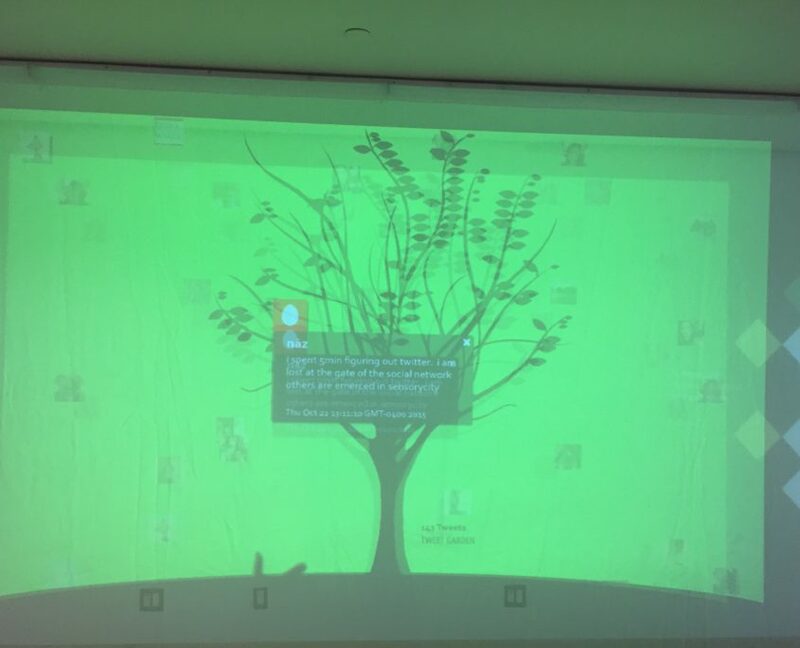 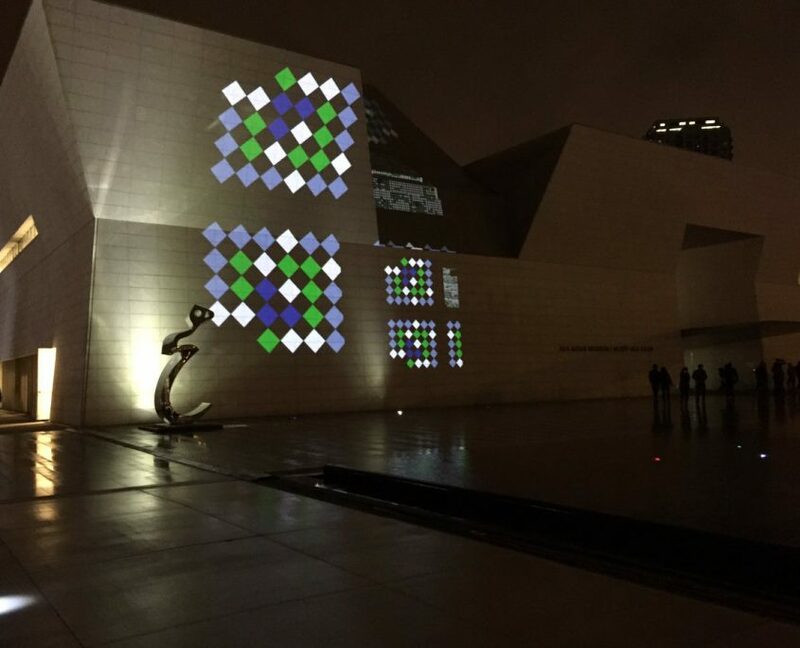 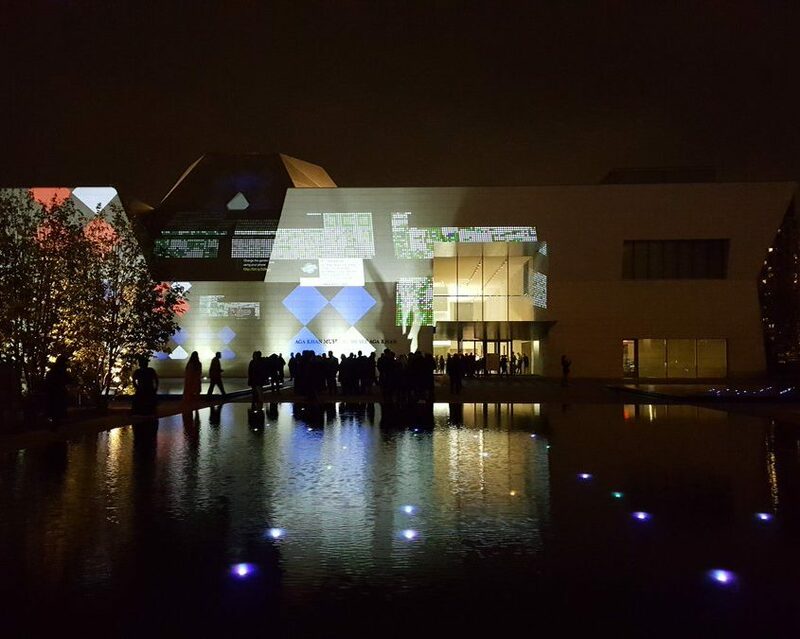 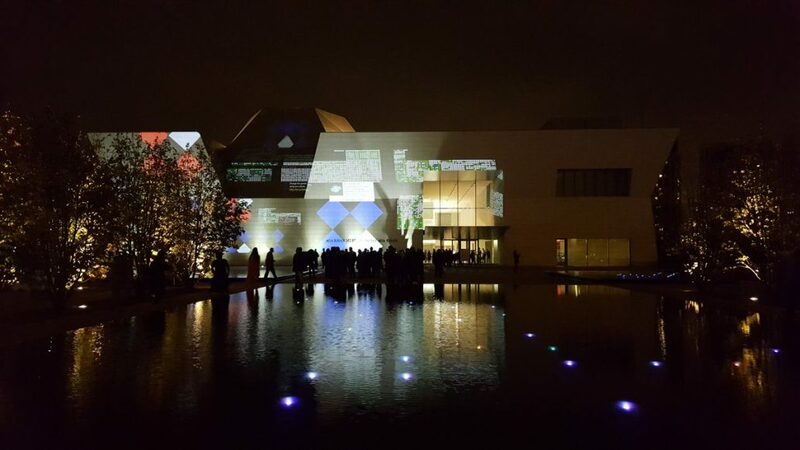 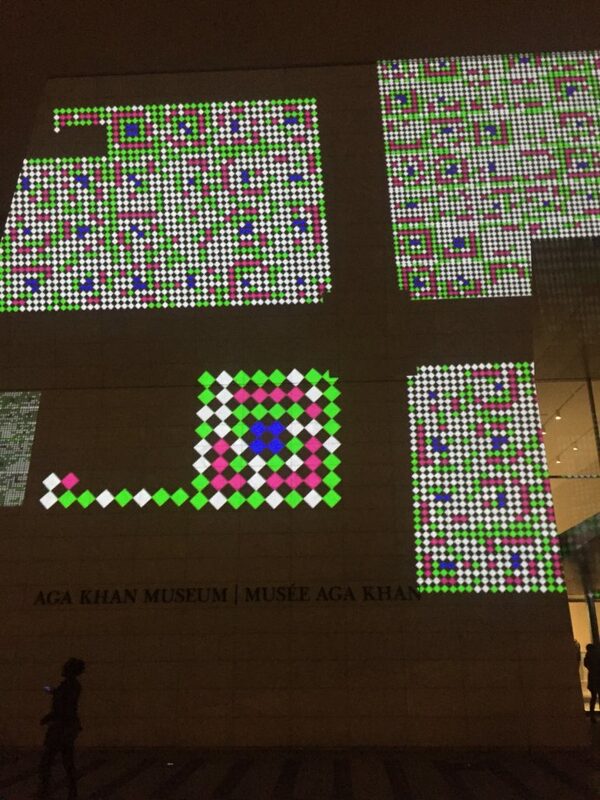 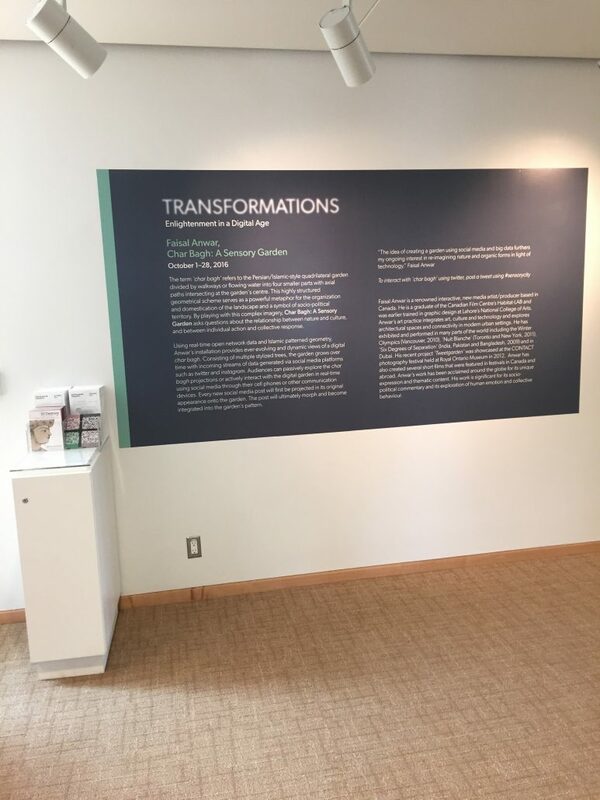 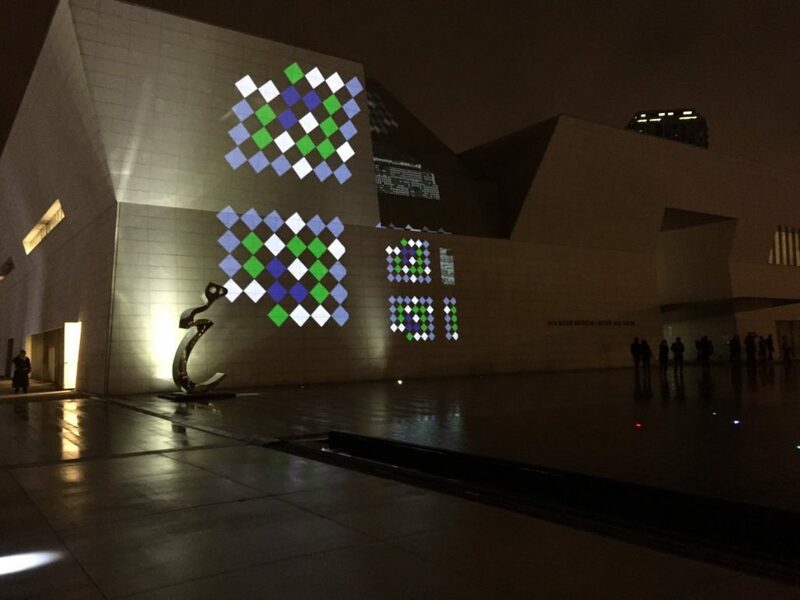 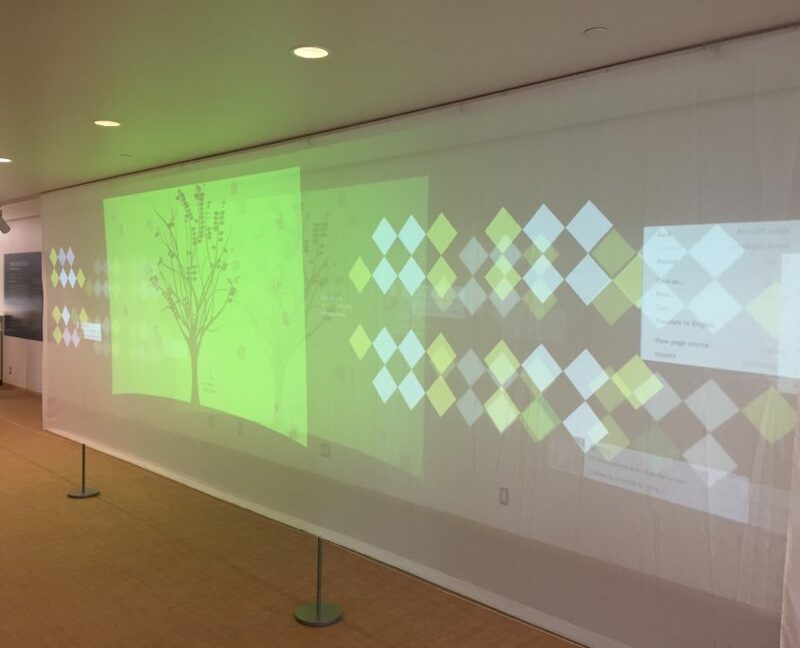 Audiences can passively explore the char bagh projections or actively interact with the garden in real-time using their cellphones. 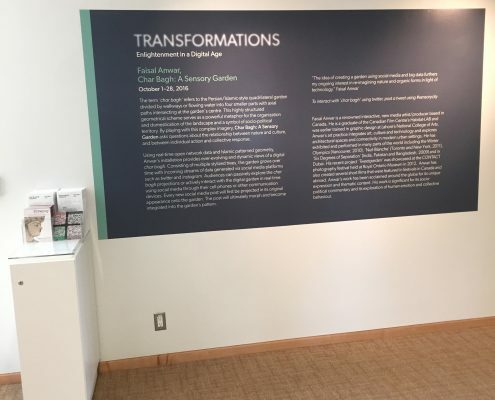 Every new social media interaction will first be projected in its original appearance on to the garden with text/location/time then morph to be integrated in the garden’s evolving pattern.